Drawing on interviews with colleagues and The Donald himself, an award-winning business reporter journeys behind the image and the myths to provide a real-life study of the colorful and contradictory world of billionaire real-estate mogul Donald Trump. Reprint. Amazon.com description: Product Description: Available for the first time in a decade-the book that launched a $5 billion lawsuit--with a new introduction by the author in which O'Brien reflects on the recent wave of TrumpMania. 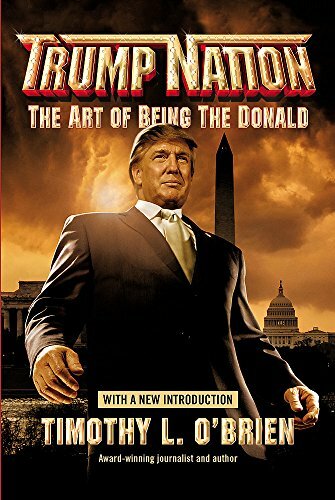 This entertaining look inside the world of Donald Trump is chock full of rip-roaring anecdotes, jaw-dropping quotes, and rigorous research into the business deals, political antics, curious relationships, and complex background of the leading Republican presidential candidate. About: Drawing on interviews with colleagues and with Trump himself, the author journeys behind the image and the myths to provide a study of the colorful and contradictory world of billionaire real-estate mogul Donald Trump. About: Drawing on interviews with colleagues and The Donald himself, an award-winning business reporter journeys behind the image and the myths to provide a real-life study of the colorful and contradictory world of billionaire real-estate mogul Donald Trump. About: With unprecedented accessincluding personal interviews with Donald Trump himselfone of the nations leading business journalists reveals the good, the bad, and most of all, the ridiculous truth behind the public image of The Donald.